STANDING STRONG: Hanks as the veteran career pilot in the Clint Eastwood-directed film. By now we are all familiar with the story of how Captain Chesley Sullenberger (affectionately called ‘Sully’) avoided an unspeakable tragedy when, on January 15, 2009, he courageously performed what has become known as ‘The Miracle on the Hudson’, landing his passenger aircraft (with some 155 persons on board) on the Hudson river, when the plane, which suffered dual engine failure due to a bird strike, could have ended up in a nearby neighbourhood or on a busy, people-filled street. 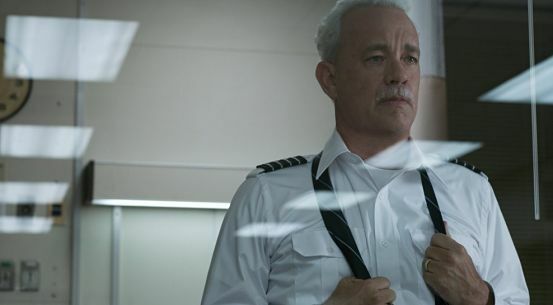 At long last, the incredible true story, which made international headlines, gets a memorable, deeply affecting cinematic telling in Sully, thanks to the directorial brio of Clint Eastwood and two-time Oscar winner Tom Hanks, sporting a head of gray hair and a trimmer physique to play the veteran career pilot. While audiences are no doubt intrigued to get an intimate account of what unfolded on that fateful day – the movie is an adaptation of the captain’s memoir, Highest Duty – we discover that there’s much more to the story, including how the lengthy, often mean-spirited ethics investigation into the incident put Captain Sully under the microscope and threatened to destroy his nearly 40-year career. Was he a hero or a risk-taker who endangered the lives of his 155 passengers? As the film (part biopic drama, part character study) reveals, what kept the aging pilot from losing his mind throughout the tough ordeal – the relentless media coverage, the public scrutiny, reporters tracking his every move – was the calming pleasure of having a strong and understanding wife (Laura Linney) on the other end of a phone line, the unwavering support of his co-pilot, First Officer Skiles (played by Aaron Eckhart) and those grateful-to-be-alive passengers who vocally stood up for him.